A solid sale of a property with a deeded boat slip on Delavan Lake indicates there may be some firming of pricing in the area. This sale, along with a recent lakefront sale on the Delavan Outlet, may confirm a pick up in demand for lakefront and lake access homes. Selling for $290,000, this three-bedroom two story, is the smallest home in the subdivision and closed for $42,000 above the assessed value. The home has three upstairs bedrooms, a remodeled kitchen, wrap around porch, master balcony with lake views and a large screen porch off the back. Only two sales have now been completed for Delavan Lakefront homes in the second half of the year. 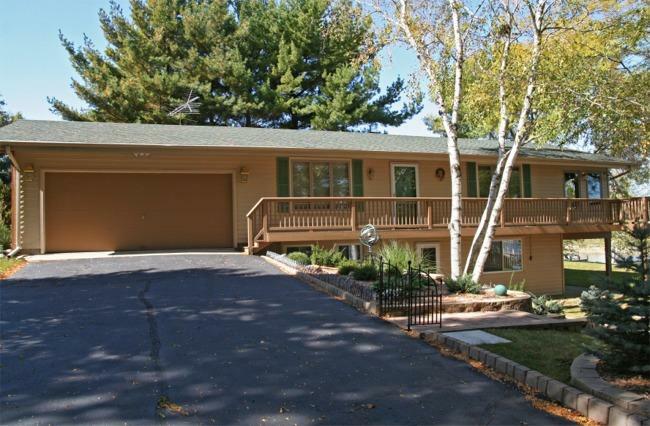 The most recent sale, located at 2116 Lake Trail Drive, is situated on 139 feet of frontage on the Delavan Outlet. The home was completely remodeled, tastefully landscaped and has three bedrooms and three baths. The sale price was $425,000. This represents a discount of 7.5 percent from the asking price of $459,900. This discount is about average for sales around the Delavan Lake area. Year-to-date, we now have 12 lakefront sales compared to 11 at this time last year. 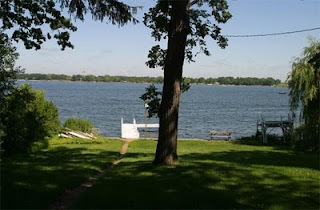 It used to be hard to find a Delavan Lakefront Property for less than a million dollars. Now there are eleven available on the main body. Yes, some are in a bit of disrepair and there is one foreclosure, but the pickings are getting better and better on Delavan Lake. This could be signaling a buying opportunity. 1. 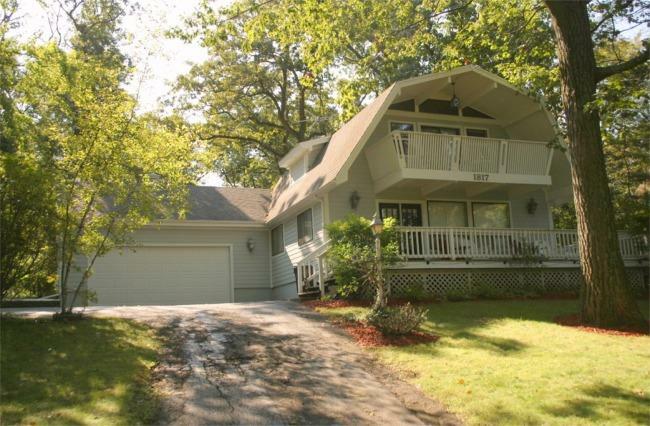 5BR, 3BA cottage on 75 feet of South Shore frontage for $649,000. 2. 3BR, 3BA fixer-upper on 50 feet of North Shore frontage for $689,000. 3. 3BR, 2BA on 50 feet of North Shore frontage for $749,900. 4. 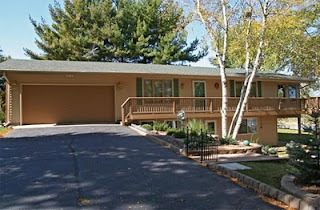 6BR, 4BA foreclosure on 60 feet of North Shore frontage for $802,900. 5. 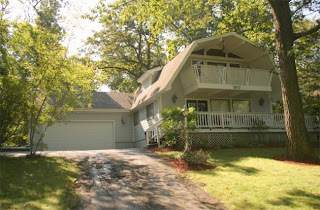 3BR, 1BA cottage on 100 feet of South Shore frontage for $899,000. This one is really selling for the price of the land with little or no value being placed on the house itself. It's all about the view, the rock and sand bottom, and the gently sloping yard. The first snow has fallen in the Delavan Lake area and the Delavan Lakefront activity remains cool. There remains only one sale since June on the lake with only two lakefront properties showing accepted offers. In regards to lake access properties, three properties have accepted offers. Price adjustments are limited, however, as most home owners seem to be content to wait out the rest of the year at their existing listing price. The lake condo market is ice cold. None of the 47 available properties have accepted offers. Much of this may be due to the uncertainty of Lake Lawn Resort's future. The resort is scheduled to close over the next week unless a suitor emerges to rescue it from bank ownership. Prices for Delavan Lakefront and Lake Access properties range from $50,000 to $1,800,000 with some of the more expensive lakefront properties "resting" for the winter months.